We are busy gearing up for our first classes, and are so excited! The sewing machines arrived today, and we are unpacking them and setting them up. We will be offering one morning class and one evening class, both beginning on June 19, and running for four weeks. Classes are limited, and we already have students enrolling, so email us today for more information. In the very first course, you will learn all about the sewing machine and how it works, how to read a pattern and determine fabric and notion needs, how to choose the right fabrics for your projects, and many other practical tips. 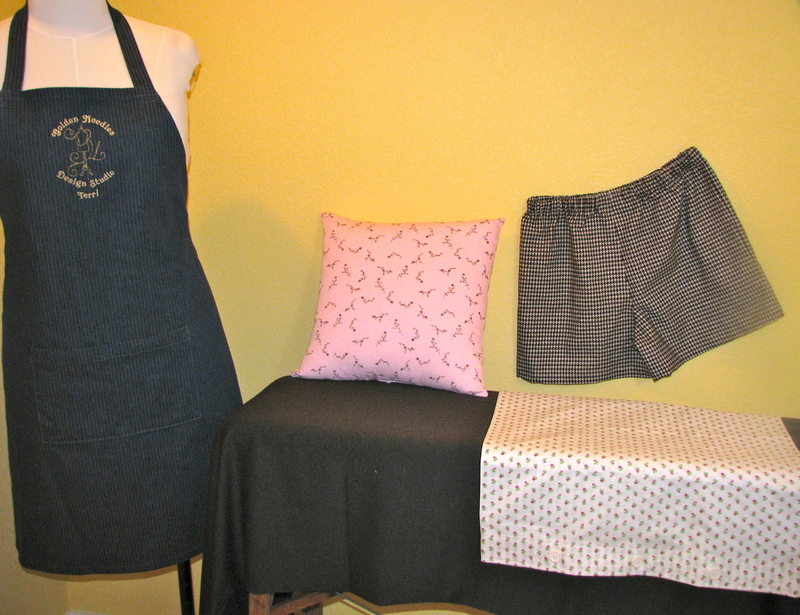 While making four different projects, you will learn to topstitch, make buttonholes, install zippers and elastic, and finish seams. We are using Karen’s daughter Julie as our guinea pig, and she has enjoyed her first two projects. 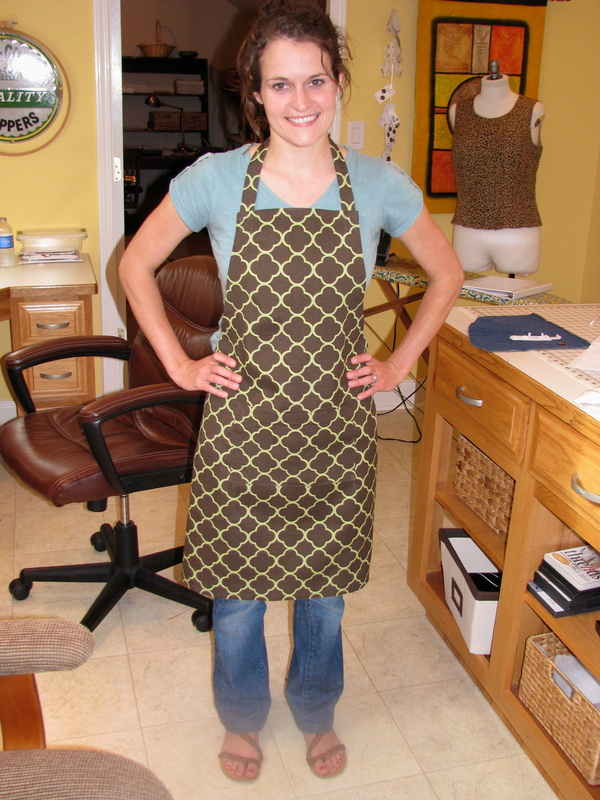 Her apron turned out so pretty, and so did her pillow shams. She plans to use both as wedding gifts. How special for the friends who will receive such a nice gift! 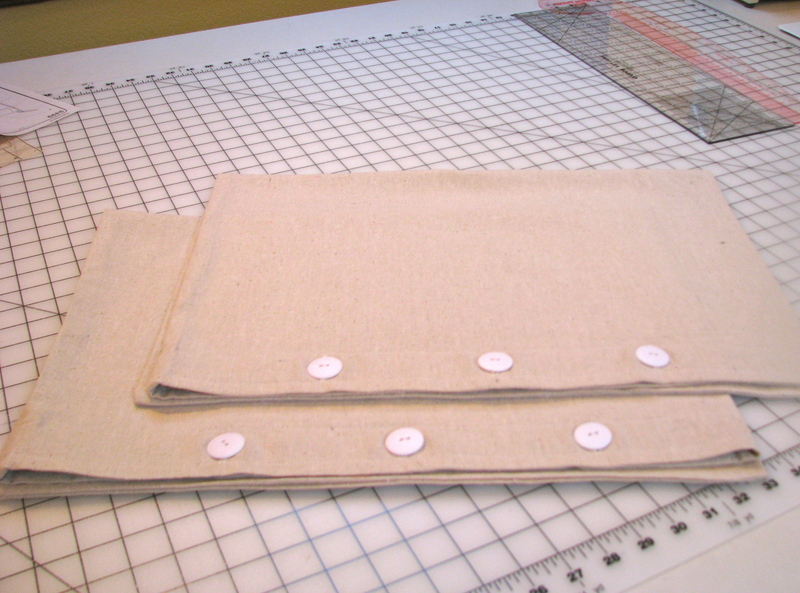 Julie’s pair of linen pillow shams. Her mom has promised to use her embroidery machine to monogram them in white. How pretty! If you live in the middle Georgia area, and would like more information on our beginning sewing classes, please email us at golden-needles@cox.net.